The government of Malaysia has imposed a three-month-long ban on bauxite mining, effective from January 15. The announcement comes after protest erupted in Pahang – the country’s largest bauxite producing state – asking for a complete stop to mining activity in the region. The mines have caused air and water pollution in the region, which came to light after river water turned red in the state. This has also affected the fish population in the area. Washing bauxite, an ore for aluminium, generates large amount of waste water, which can pollute water resources with heavy metals, if poorly stored. Carrying the material in trucks has also led to dust and air pollution in Pahang, as per locals. "Beginning January 15, everything will come to a standstill," Malaysia’s natural resources and environment minister, Wan Junaidi Tuanku Jaafar was quoted as saying in media reports. 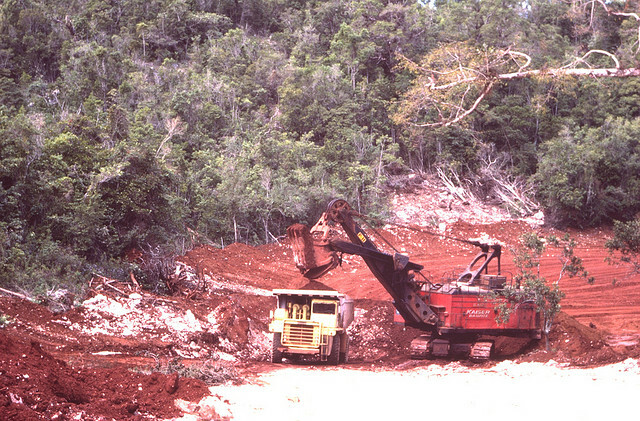 The government will also freeze new permits for the export of bauxite for three months. It plans to regulate the industry during the ban period. Malaysia’s bauxite export grew 11,100 per cent year-on-year in 2014 to become China's top supplier. Malaysia is the main supplier of bauxite to China with exports last year hitting more than 20 million tonnes, up sharply from just under a million tonnes in 2014, local media reported. There are 22 licensed bauxite miners in the Pahang state. The state’s chief minister Adnan Yaakob was reported saying that regulating the industry will strengthen it and make it more sustainable.